This recipe is an expanded version of my sister Moli’s recipe. 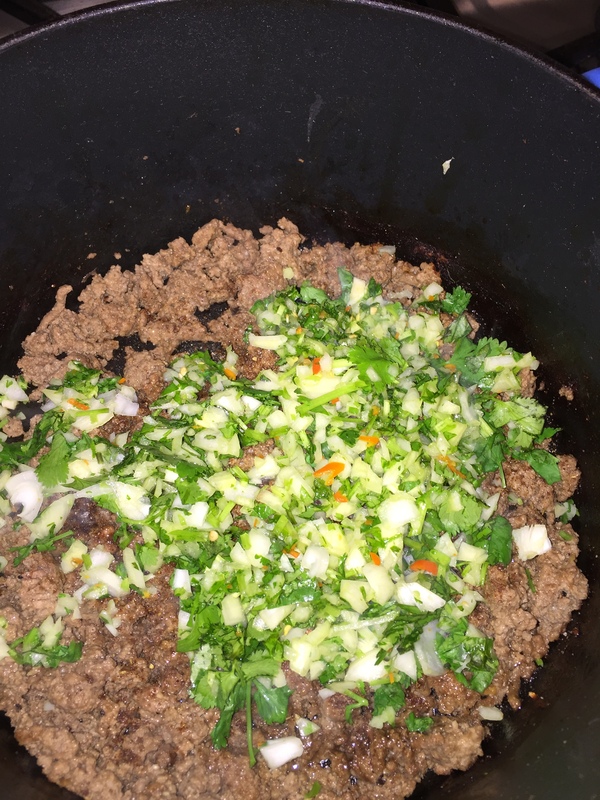 When I asked her she said….oh its so easy… you just stuff the packaged porota with keema and bake it in the middle of oven. This is what happens when you ask an experienced cook for a recipe. So, this is my attempt to explain the process for Amani, my baby deshi in the dorm. You’ll get five stuffed porathas out of this recipe. 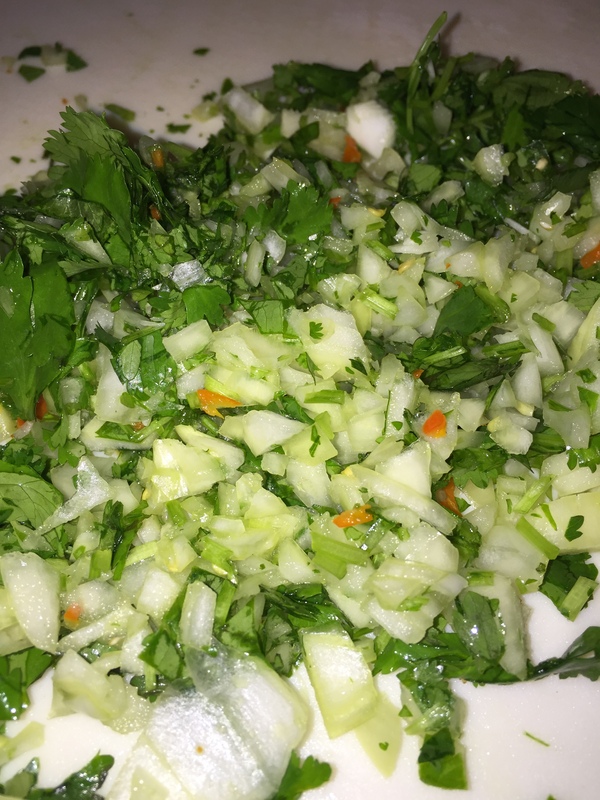 1/2 cup cilantro, 1/2 large onion, 2 chilli peppers…chopped fine. Brown beef with a 1/2 cup of water, ginger, garlic, salt and pepper. Optional: Sprinkle a teaspoon of garam masala, 1/2 teaspoon of sugar, 1/4 of a lime juice. Turn off stove. Top browned beef with onion mixture, cover and let sit for 10 minutes. Now your keema is done. You can use it for this, for samosas, aloo chops, patties….for any deshi filling. 3. Spray two oven trays with oil. 4. 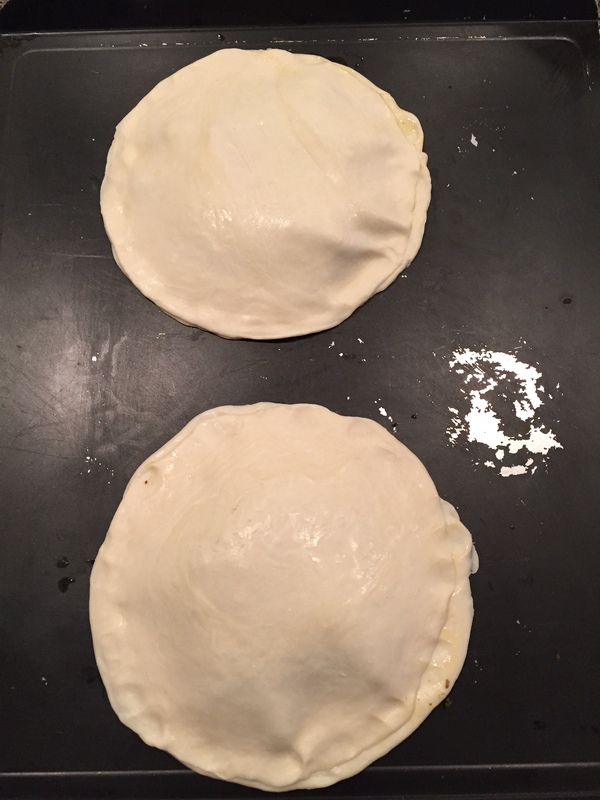 Place five porotas on the trays. 5. Brush each with egg. 6. 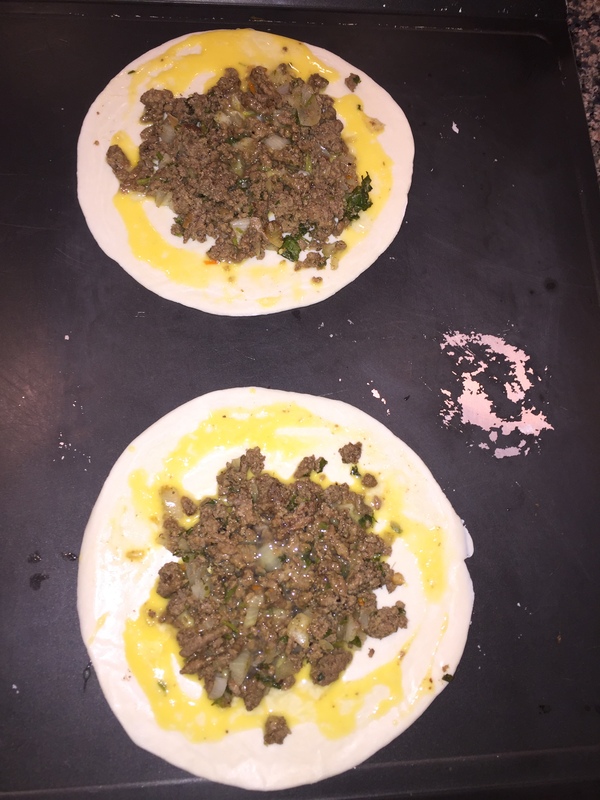 Top each with keema (about 3 tbs/each). Reserve extra for later. 8. Cover each with another porota. 9. Bake for 30 minutes. Center of oven. May need flipping in order to brown all over. 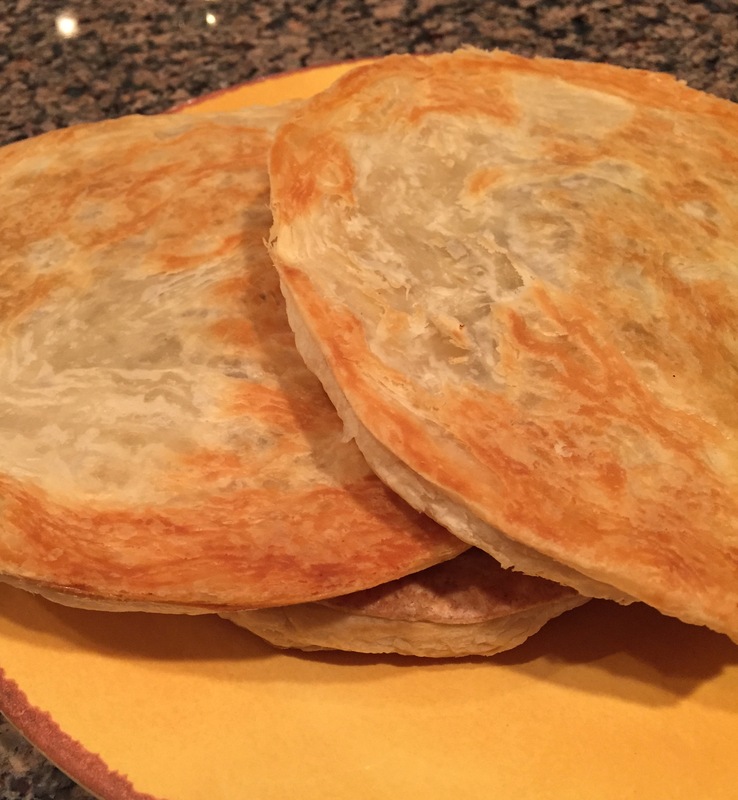 It tastes like a spicy, flaky and delicious meat pie. Great as a snack with sweet chai. This is happening in my life! 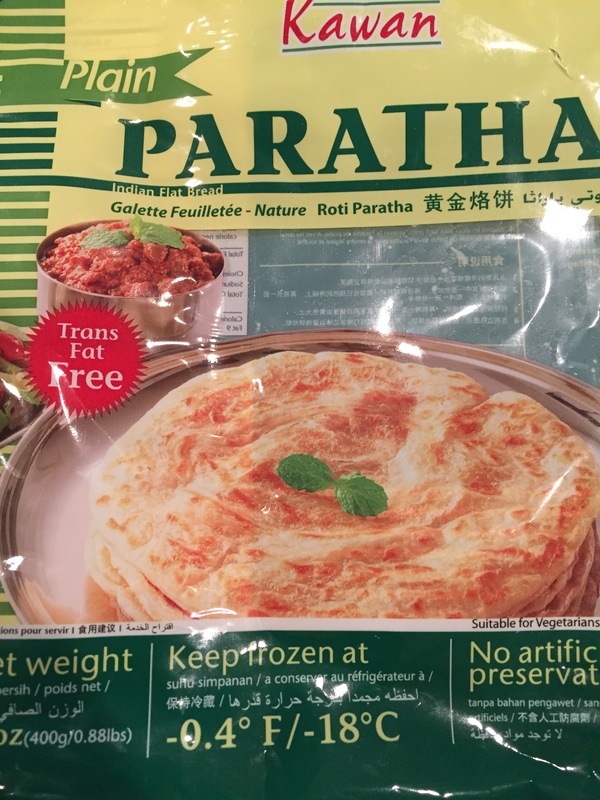 Where do you get frozen Paratha? You can get it in the frozen section of most Asian or Indian grocery stores. Let me know how it goes! Enjoy.